Groton is located in northeastern Tompkins County, northeast of Ithaca. The law firm of Michaels & Smolak represents clients in the Groton area, including a woman who sustained a broken leg, soft tissue injuries and permanent scarring from a motorcycle accident. 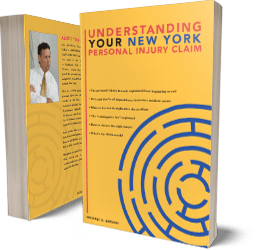 Michaels & Smolak handles all kinds of medical malpractice and personal injury claims for Groton accident victims, and other personal injury victims, all over upstate and central New York. The firm handles all types of accident scenarios, including construction accidents, car accidents, trip and fall cases, explosion and fire cases, and surgical error cases. The firm does not accept “frivolous” cases, but rather only legitimate ones where the injuries are significant or serious. The firm believes that personal injury victims who receive only minor injuries should not bother pursuing their claims in Court. All potential clients are encouraged to call the firm about their potential case for a free consultation. If the firm accepts the case, the next step is usually to set up a personal meeting either at the client’s home, or out one of our law offices, at the client’s preference. The firm’s closest law office to Groton is in Auburn (directions HERE). The lawyers frequently travel to their clients’ homes for meetings if the client prefers.